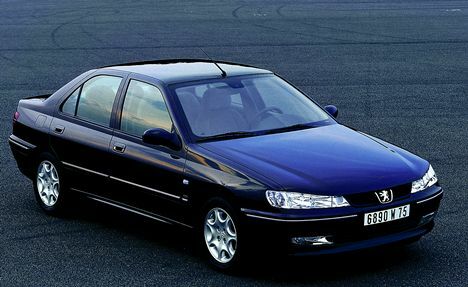 I’ve been a happy owner of a French car in over eight years with my now aging Peugeot 406 from 1996. When I bought it in 2001, it felt like a brand new car, and a major step up from my previous (and first) car: a Volvo 142 from 1970. One of the coolest things of the 406 was its 4-digit code you had to enter on the left side of the steering wheel before you could start the engine. Not only did it make me feel super important when I stepped into the car, it was also a pretty advanced anti-theft feature. Perhaps most important of all, it was a very rewarding feeling to see your passangers’ reactions every time they first discovered this killer James Bond feature. The Peugeot 406 has been serving me well during all these years, but recently, it’s been struggling to keep up with the little things, like showing the outside temperature on its internal display, or letting me in through its drivers door, or not dropping its exhaust pipe on the ground. One day when the 406 was taking me to Patrick for lunch out at Tuna Park (Sweden’s most popular shopping mall! ), Patrick commented on its poor shape and said it looked “tired.” I think this might have been the last nail in the coffin for the 406’s already weak self-esteem, because just a few days later it broke down completely on the parking lot at Tuna Park and wouldn’t let me start it — the James Bond feature was broken! Citroën C4 HDI 1.6 EGS (2007, diesel). My third car. I love it! It’s very fuel efficient, it has a very neat 6-speed semi-automatic gearbox (Citroën calls it EGS), and maybe most important, it actually lets me drive it! It’s classified as an environmental friendly car in Sweden — the CO2 emission is 120g/km — but right now I’m still enthusiastically trying to find reasons to drive it, so if you count the distances I’m driving it without a meaningful destination, the CO2 emission is a lot higher. This entry was posted in mozilla, personal and tagged 142, 406, c4, car, citroen, french cars, peugeot, volvo on 2009-01-29 by David Tenser.